Reactors | TEPCO admits that two additional reactors, units 2 and 3, have likely melted down. Officials do not believe that radioactive material in either unit escaped their containment vessels. Reactors | TEPCO admits for the first time that Fukushima experienced a full meltdown. Rebuilding | Humans return to the Fukushima Reactor for the first time since the quake disaster. Contamination | TEPCO announces that the amount of radiation released at Fukushima may surpass that of the Chernobyl disaster. Reactors | The badly-damaged Fukushima Daiichi nuclear power plant has been upgraded from 5 to 7 on the International Nuclear and Radiological Event Scale. The only other nuclear crisis to reach the same level is Chernobyl. Contamination | The Japanese government is widening the mandatory evacuation zone beyond the current 18 mile radius. Earthquake | Another strong, 7.1 aftershock has hit Japan. Earthquake | A second quake with a magnitude of 7.4 has struck Japan, 78 miles north of the devastated Fukushima plant. Reactors | Workers have begun pumping inert nitrogen into the Fukushima reactors to prevent a another hydrogen gas blowout. Contamination | TEPCO has plugged the radioactive water leak at the Fukushima plant using a 1,500-chemical concoction. Contamination | Fukushima's radioactive water to be pumped into "Mega-Float"
Contamination | Two Fukushima workers were hospitalized Thursday 24th May for high-level radiation and injuries to their legs. Contamination | Japanese parents told not to let infants drink tap water. Radioactive iodine levels are above legal limit for babies. Reactors | All Fukushima reactors now connected to power. Electricity has not been reestablished in crucial systems, however. Contamination | Radioactivity found in seawater around Fukushima. Officials are worried that, although not dangerous for humans, it may have an effect on the fishing industry. Reactors | Fukushima emergency workers have been evacuated temporarily, as smoke rises from reactors 2 and 3. 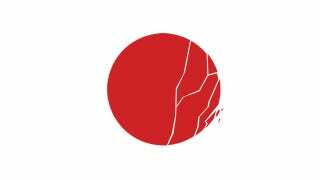 Death toll | Japanese police has reported 21,911 dead or missing as of noon, March 21. 350,000 people are living in refugee camps. Economy | World Bank estimates rebuilding cost could be as high as 4% of Japan's GDP, as much as $230 billion, but impact will be "short-lived." • A magnitude 9.0 earthquake strikes near the northeast coast of Japan at a depth of 15.2 miles. The epicenter is 231 miles from Tokyo. It's the fifth largest quake ever recorded and the largest ever to hit Japan. • Tsunami alert through the Pacific. • Fukushima Daiichi reactors start emergency shut down and cooling operations. • 6.8 m (22 ft) Tsunami hits the first Japanese city of Iwate Kamaishi-oki. • 7.4 magnitude aftershock hits Japan. • Tsunami starts reaching other Japanese towns: Ofunato and following with Ishinomaki-shi Ayukawa, Kamaishi, Miyako, Erimo-cho Shoya, Soma. Here's a terrifying video recorded at street level in Kesennuma, showing the water taking cars, ships and entire buildings away. • Diesel generators supporting the Fukushima Daiichi nuclear power plant emergency refrigeration systems shut down after tsunami hits. • NHK releases video of a giant whirlpool off the Japanese coast. • Japanese government declares first emergency at Fukushima Daiichi nuclear plant. • Tokyo Electric Power Company confirms that reactor water levels are falling following the failure of the diesel generators. • TEPCO tries to avert fuel rod exposure by restoring power to its emergency power system and pumping water inside the reactors. • Four nuclear plants near the earthquake's epicenter are shut down. • First official casualty number revealed: Police reports 200 to 300 bodies in Sendai. 60,000 to 70,000 city residents are evacuated to shelters. • All cooling systems at Fukushima nuclear report are reported not working. Authorities say they are "bracing for the worst." • The tip of the Tokyo Tower is bent. • A fire at the Onagawa nuclear plant is extinguished with no further consequences. • United States start sending help to Japan. US Secretary of State Hillary Clinton says the United States has transported coolant to Fukushima. • As if the tsunami weren't enough, a damn dam breaks in Fukushima prefecture, washing away scores of homes. • Evacuation because of nuclear risk begins: Residents within 10 kilometers are being evacuated out of area. • People within three kilometers are examined for contamination. • TEPCO prepares controlled release of steam to lower the pressure of reactor 1 and avoid explosions. Just How Bad Is Japan&apos;s Radiation Problem? • Radiation spikes to 1,000 times the normal level in the reactor 1 control room. • First explosion happens at Fukushima Daiichi. The reactor 3 suffers a major blast caused by hydrogen gas injuring four people and blowing the roof of the external containment structure on reactor 1. Radioactive leak reported. • Evacuation zone increases from 10km to 20km (12 miles). • Iodine tablets distribution—to counteract the radiation exposure—begins. • Three people (selected at random out of 90) test positive for radiation exposure in Fukushima prefecture. • USS Ronald Reagan Carrier Strike Group, from the US Navy Seventh Fleet, arrives to the east coast of Honshu, sends several H-60 helicopters to rescue people and deliver supplies. • 18 hours later, US Navy repositions ships after detecting radioactive winds—sailors receive one month of radiation in one day. • At this point, 185,000 residents have been evacuated from the area surrounding the Fukushima power plant. • The radiation levels at the front gate of the power plant were found to be 760 microsieverts at 21:35; 3,130 microsieverts at 21:37; and back to 400 microsieverts by 22:15 as radioactive particles start to dissipate. • Radioactivity now detected as far as Yokosuka, a few kilometers south of Tokyo. • A second explosion—felt 25 miles from the Fukushima nuclear plant—destroys the outer building of reactor 3. • Japan's Chief Cabinet Secretary Yukio Edano says that they think the strong blast hasn't damaged the inner containment vessel but they can't check it out because of the very high temperatures in the building. • The Tokyo Power Company later says that six people are injured. • Fuel rods in reactor 2 are now fully exposed after total loss of water in the inner containment vessel. At this point, they start injecting sea water. • Fuel rods are exposed again after water stops flowing because of a human error: Someone accidentally turns off the air flow gauge, which stops the sea water from getting inside the unit. • Fire starts in reactor 4, in the spent fuel pond. • An explosion is heard on reactor 2. Potential damage to the pressure-suppression system at containment vessel's bottom. • Radiation levels go beyond legal limit. • All workers except a group of 50 are evacuated from the plant. They are mostly retired workers who have less chance of developing cancer over time. • Fire in reactor 4's spent fuel pool is extinguished. According to the IAEA, the fire has released "radioactivity directly into the atmosphere." • Water in the the reactor 4 fuel pool is boiling. • Fire reported in the reactor 4 building. • TEPCO says that it's possible that that rods could reach critical mass and start a chain reaction that would release massive radiation to the atmosphere. • Chernobyl veteran Iouli Andreev slams the Japanese government, TEPCO and the IAEA for their bad practices. • 70% nuclear rods are damaged on reactor 1; 33% are damaged on reactor 2. Japanese government believes that there has been a partial meltdown in the cores. • White radioactive smoke starts venting from Reactor 3 inner containment unit. • One hour later, radiation level increases sharply to 3391 microsievert per hour. • 30 minutes later, TEPCO fears a nuclear vessel breach and all workers evacuated from reactor buildings, but not from plant grounds-they return almost one hour later. • United States, Britain and other governments around the world expand the evacuation zone beyond Japan's own: 80km (50 miles) from Fukushima nuclear plant. • Adding to the alarms sounded by the European Union and the French nuclear agency, US Nuclear Regulatory Commissioner Gregory Jaczko expresses deep concern as radiation reaches lethal levels due to the reactor 4's pool. • Military helicopters begin to spray sea water on the reactors. • Electronic industry analysts say the disaster will likely affect consumer electronic manufacturing, including the iPad 2. • Radiation levels begin to drop sightly. Edano says that it is now 1.5 millisieverts per hour at the gate and says smoke is not escaping from the reactor 3's containment vessel but its storage pool. • 30 tons of water have been sprayed on reactor 3 using water cannons. • Reactor number 2 is now connected to the external power grid. This opens the possibility for the Emergency Core Cooling System and Residual Heat Removal pumps to resume operations. • IAEA raises nuclear event alert level to 5. • Japanese officials report spinach and milk near Fukushima site have high levels of radioactivity. Traces of radioactive iodine found in Tokyo water supply. • World Health Organization says "short-term exposure to contaminated food poses no immediate health risk" but warns situation is "more serious than originally thought." • 100 tons of water sprayed on fuel pool at reactor 4 using high-pressure fire trucks for more than 13 hours. This is the first time the reactor 4 has been sprayed with water since the earthquake. • Reactors 5 and 6 are in cold shutdown and stable, according to the IAEA. • TEPCO is laying down cables checking circuits as it prepares to return power to reactors 3 and 4. • Police raises death and missing people toll to 21,911. 8,649 are confirmed dead, 4,080 bodies already identified. • According to Hirotaro Iwase—a professor of forensic medicine at Chiba University—90% of the autopsies in Rikuzen-Takata, Iwate Prefecture, show deaths by drowning. Victims were ready for the tsunami, carrying multiple layers of clothing and backpacks with ID and emergency food, but the water was too fast to escape. • Emergency workers have been evacuated as white smoke rises from reactor 2 and grey smoke is coming out of reactor 3. Authorities are evaluating the situation. • Radiation found in sea water around Fukushima. Not dangerous to humans, but it can affect the fishing industry. • Workers keep pouring water over the reactors and nuclear fuel rods storing pools, trying to keep conditions stable enough so work can continue on restoring all the fundamental electric systems in the plant. • TEPCO connects all reactors to external power. The situation is still critical, however, as critical ventilation and refrigeration systems are still down. • Scientists find radioactive particles as far as Iceland, but in concentrations not dangerous at all to human health. Not all donations reach Japan. Here's a list of charities that actually do.